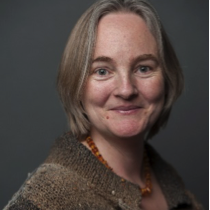 Dr. Hester Volten has been working as an air quality scientist at the National Institute of Public Health and the Environment (RIVM) in the Netherlands since 2006. She holds a PhD in Astrophysics; her experimental results on light scattering properties of fine dust particles can be found in the Amsterdam-Granada Light Scattering Database. At the RIVM see has worked on LIDAR measurements of aerosols and NO2 profiles and on the testing and developing of instruments to monitor air quality. After being involved in the iSPEX project, she became interested in citizen science. The iSPEX project is a highly successful citizen science project in which citizens use an iSPEX add-on to turn their smartphone into scientific instruments to measure aerosols (see also www.rivm.nl/ispex). She is currently involved in several citizen science projects and is particularly interested in how citizen science projects may be supported by and incorporated into official environmental monitoring programs. She is also a member of the Citizen Science Interest Group of the EEA (European Environmental Agency) and of ECSA (European Citizen Science Association.